Dr. David Feinberg is president and chief executive officer of Geisinger, one of the nation’s largest health services organizations known for innovation in medical care. With a focus on caring for patients and members, Dr. Feinberg caught the industry’s attention by launching SpringBoard Health, a population health initiative to improve the health of an entire community, and for introducing Geisinger’s ProvenExperience,™ a program to provide refunds to patients if they are unhappy with their care experience. Recognized nationally as a top healthcare leader, Modern Healthcare has named Dr. Feinberg as one of the 100 Most Influential People in Healthcare and in the top 3 of the 50 Most Influential Physician Executives and Leaders. He was also listed on the Becker’s Hospital Review list as a “Physician Leader to Know” since 2012. 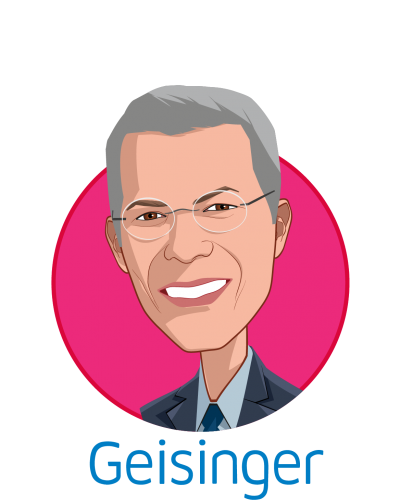 Dr. Feinberg earned his undergraduate degree at the University of California, Berkeley, and graduated with distinction from the University of Health Sciences/Chicago Medical School. He earned a Master of Business Administration from Pepperdine University. A well-known national speaker and author of numerous articles, Dr. Feinberg is a member of the Alpha Omega Alpha Medical Honor Society, a Distinguished Fellow of the American Psychiatric Association and received the Cancro Academic Leadership Award from the American Academy of Child & Adolescent Psychiatry. Prior to joining Geisinger, Dr. Feinberg served as CEO of UCLA’s hospitals and associate vice chancellor of UCLA Health Sciences, as well as president of UCLA Health System. 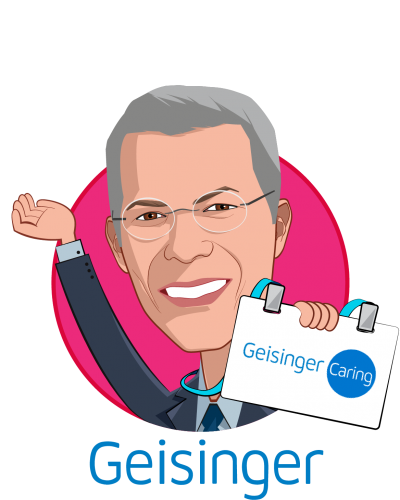 Dr. Feinberg leads Geisinger’s commitment to caring based on the principles of kindness, excellence, learning and innovation. The integrated healthcare system includes 13 hospital campuses, two research centers, the Geisinger Commonwealth School of Medicine, and a health plan that serves approximately 600,000 members. Geisinger’s more than 30,000 employees, 2500 providers, nearly 500 residents and fellows, and 360 medical students serve and care for the three million residents in Pennsylvania and New Jersey.